Conservationists have long been aware that political boundaries rarely coincide with natural boundaries. From the establishment of early "peace parks" to the designation of continental migratory pathways, a wide range of transborder mechanisms to protect biodiversity have been established by conservationists in both the public and private sectors. 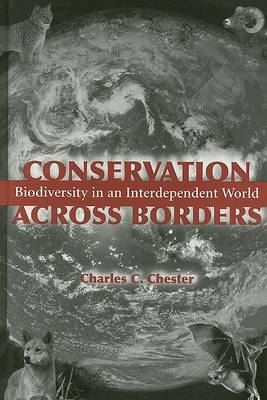 "Conservation Across Borders" presents a broad overview of the history of transboundary conservation efforts and an accessible introduction to current issues surrounding the subject. Through detailed examinations of two initiatives, the International Sonoran Desert Alliance (ISDA) and the Yellowstone to Yukon Initiative (Y2Y), the book helps readers understand the benefits and challenges of landscape-scale protection. In addition to discussing general concepts and the specific experience of ISDA and Y2Y, the author considers the emerging concept of "conservation effectiveness" and offers a comparative analysis of the two projects. The book ends with a discussion of the complex relationships among civil society, governments, and international borders. By considering the history, goals, successes, and failures of two divergent initiatives, the book offers important insights into the field of transborder conservation along with valuable lessons for those studying or working in the field.